The theme of PICMET'14 is "Infrastructure and Service Integration". Integration of services and infrastructure is a critical challenge both for developing countries in developing effectively, and for advanced countries in maintaining sustainable growth.Since Japan is known for its high quality manufacturing together with successful practices in service industries, PICMET’14 will provide a most exciting and unique opportunity for the participants to explore and establish approaches to integrate service and infrastructure in technology, manufacturing, transportation, information, health, education, government, energy and other sectors. "Lessons from History: How the West Surged Ahead, and How the East Finally Caught Up"
We will investigate the conditions that gave rise to the Scientific and Industrial Revolutions, and for the West to peak. The East — first Japan, and then Korea, and finally China — only after changing its operating system would accelerate and catch up with the West. Described by the Washington Post, Smithsonian Magazine, NPR and PBS as a “Modern Renaissance Man,” Bulent Atalay is a scientist, artist and author. He was born in Ankara, Turkey, and received his early education at Eton in England and St. Andrew’s School in Middletown, Delaware. His advanced education includes BS, MS, MA, PhD and postdoctoral studies, completed at Georgetown, Princeton, University of California-Berkeley, and Oxford University. For four decades he has been a professor of physics at the University of Mary Washington, and the University of Virginia, and a member of the Institute for Advanced Study at Princeton. 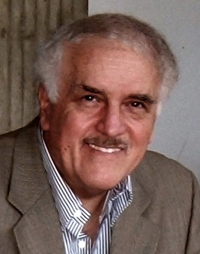 Dr. Atalay lectures around the world on art, archaeology, astrophysics, and atomic physics. "Safeguarding Growth and Prosperity: What Successful Innovators Have in Common"
In the future, people will need affordable medical care, Mobility, access to modern communication technologies, green energy, security, and resource efficient methods for our planet. These are not only the major challenges for the 21th century, but also the prevalent opportunities for growth, employment, and wealth. Companies need to analyse and exploit major, observable strands of social, scientific, and technological development and long-term trends. The knowledge obtained about markets, customers, competitors, and technologies reduces innovation risks and makes a sustainable contribution to the company's strategic orientation, organizational structure, and workflow organization. Those who want to change the existing processes and procedures or to implement sustainable concepts into practice require vision and expertise. Companies are successful when they master the dynamic, rapidly changing markets of the future. For this to happen, companies must be quick to identify upcoming market trends and opportunities for innovative technologies, and incorporate them in their business strategy. Creative and passionate individuals who have knowledge of the requirements of the economy can acquire a vision for the future. From the laboratories of the Fraunhofer-Gesellschaft, Professor Bullinger gives fascinating insights on the development and outlines some secrets about what top innovators have in common. Dr. Hans-Joerg Bullinger was born in Stuttgart. He began his career working as a manufacturer for the Daimler-Benz company in Stuttgart, after which he obtained a degree at the University of Stuttgart, graduating with a Master's degree and Ph.D. in Manufacturing. After two years of lecturing at the University of Hagen, Dr. Bullinger was asked to become a full-time lecturer at the University of Stuttgart. 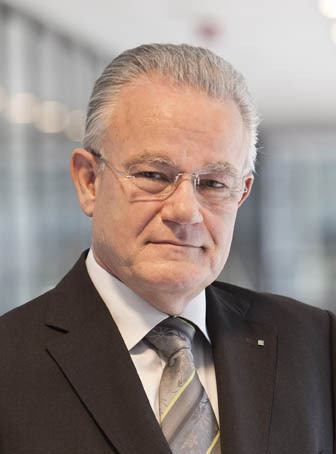 Besides his role as chairman of the University, Dr. Bullinger was also the head of the Institute for Human Factors and Technology Management (IAT) and the Fraunhofer-Institute for Industrial Engineering (IAO). From October 2002 until October 2012 he was President of the Fraunhofer-Gesellschaft, Corporate Management and Research and alternates afterwards to the Senate of Fraunhofer. Dr. Bullinger received several honorary doctorates and awards like »Knight Commander´s Cross of the Order of Merit of the Federal Republic of Germany« from the Federal President of Germany, was awarded »Manager of the Year« by the German manager magazine in 2009 and honoured with the »Grashof Denkmünze« by VDI (The Association of German Engineers) in 2011. Dr. Bullinger received the »Leonardo - European Corporate Learning Award« 2012. Dr. Bullinger is a member of several councils like the Industry-Science Research Alliance of the Federal Ministry of Education and Research and the European Research and Innovation Area Board (ERIAB) of the European Commission. Dr. Bullinger is a Fellow of UK´s Royal Academy of Engineering. At present, the Fraunhofer-Gesellschaft maintains more than 80 research units in Germany, including 67 institutes and research units. The majority of the 23,000 staff are qualified scientist and engineers. With its clearly defined mission of application-oriented research and its focus on key technologies of relevance to the future, the Fraunhofer-Gesellschaft plays a prominent role in the German and European innovation process. "The Hitachi Group’s Social Innovation"
Based on the belief that innovation will bring about a world where economic growth can be compatible with efforts to solve the environmental, energy, and population problems faced by society, the Hitachi Group is putting all its energy towards the Social Innovation Business. The Hitachi Group utilizes various service innovations based on ‘Human’ ‘IT’ and ‘Social Infrastructures’ to help give people comfortable lifestyles and to make a sustainable, prosperous society a reality. In this speech, Mr. Iwata will introduce the Hitachi Group’s efforts to contribute globally to business and social innovations to realize this prosperous society. 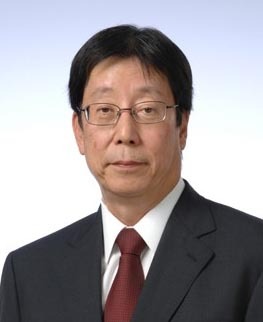 Mr. Shinjiro Iwata is the Representative Executive Officer, Executive Vice President and Executive Officer of Hitachi, Ltd.; and President and CEO of the Information & Telecommunication Systems Group. Mr. Iwata began his career with Hitachi, Ltd., in 1972 in the Overseas Business Department. After holding positions of increasing responsibility, Mr. Iwata became Manager of the Business Planning Department for the Information Systems Group in 1996. In 1997, Mr. Iwata joined Hitachi Data Systems (HDS), where he served as Executive Vice President. In 2000, Mr. Iwata returned to Hitachi, Ltd., and served as Deputy General Manager of the International Business Promotion Division. He was promoted to General Manager of the Global Business Development Division in 2001. Later that year, he returned to HDS as CEO. After leading HDS for almost five years, he returned to Hitachi, Ltd., to serve as Chief Marketing Officer (CMO) of the company’s Information & Telecommunication Systems Group. In 2006, Mr. Iwata joined Hitachi Global Storage Technologies (HGST) in San Jose, California, where he served as CMO. He was also a member of HGST’s Board of Directors. In 2009, Mr. Iwata returned to Hitachi, Ltd., as Vice President and Executive Officer, CEO of Service & Global Business, Information & Telecommunication Systems, Hitachi, Ltd. As CEO of Information & Telecommunication Systems, Mr. Iwata is credited with turning the company around and initiating a period of rapid growth and profitability. "Educating Technology Leaders for Design-Driven Innovation"
Technology and design-driven innovation have always been vital to society’s prosperity and well-being and will continue to be so in essentially all areas of importance to society including the topic of service and infrastructure integration that is the theme of this conference. Education in this general arena has evolved over hundreds of years, with the emergence within engineering and management of particular disciplinary and departmental structures and teaching paradigms. Are these the best approaches in today’s world? How should a contemporary technical-based university be structured? What degrees should it offer and how should it be delivering education? Using MIT and the development of the Singapore University of Technology and Design as reference points, I will touch upon these issues in the context of the changing landscape of higher education. Thomas Magnanti is the founding President of the Singapore University of Technology and Design (SUTD), and Institute Professor and former Dean of Engineering at M.I.T. He has devoted much of his professional career to education that combines engineering and management, and to teaching and research in applied and theoretical aspects of large-scale optimization. Professor Magnanti has a long association with programs in technology and in the management of technology. At SUTD, he has led the development of a university whose mission is to advance knowledge and nurture technically-grounded leaders and innovators to serve societal needs, through a focus on Design and an integrated multi-disciplinary curriculum and multi-disciplinary research. At M.I.T. he was the founding co-director of MIT’s Leaders for Manufacturing and System Design and Management Programs, and founding director of the Singapore-MIT Alliance for Research and Technology (SMART). As Dean, he was instrumental in creating the Deshpande Center for Technological Innovation and was a strong advocate and supporter of programs in entrepreneurship such as the MIT 100K competition. He also headed one third of the Sloan School of Management for several years. 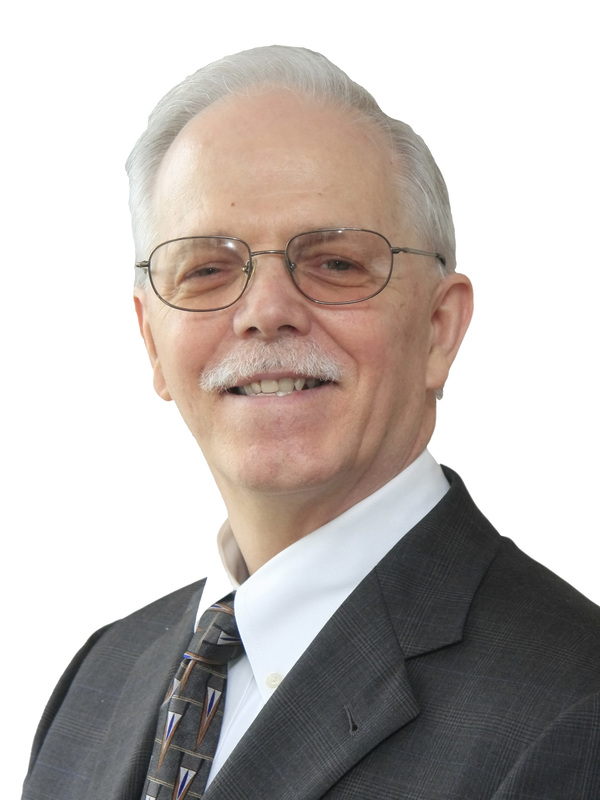 He has served as president of three major professional societies and as editor of the journal Operations Research. He has also served on a number of university, corporate and government boards and councils. Professor Magnanti has received numerous educational and research awards including four honorary degrees. He is a member of the U.S. National Academy of Engineering and the American Academy of Arts and Sciences. He has an undergraduate degree in Chemical Engineering from Syracuse University, and masters’ degrees in Statistics and in Mathematics as well as a Ph.D. in Operations Research, all from Stanford University. "Management and Technical Innovation of Railway as Social Infrastructure Can Make Higher Quality of Life "
The level of infrastructure is considered to be the index most correlated with a nation’s competitiveness. In this context, transportation as infrastructure plays an important and indispensable role in society. In particular, the railway in the center of public transportation reduces significantly traffic jam by its characteristics of large capacities and high efficiency. It has also various characteristics such as environmental superiority and short trip time, greatly contributing to economic growth and regional development. JR East holding infrastructure of railway system operates and maintains various categories of rail transport including Shinkansen, metropolitan, suburban, and regional trains together with manufacturing of rolling stock. We also manage life-style business such as station space utilization, shopping center, hotel, and so on, and at the same time operate micropayment business. Thus, we sustainably diversify in the multiple business described above which has been and will be mostly accomplished by management and technical innovation. We believe that this sustainable innovation of transportation can raise people’s Quality of Life. JR East is the overall customer service industry with the integrated technology. Today, we strongly promote the management & technical innovation and the globalization. Towards the future, it is extremely important to adapt to the rapidly changing management environment such as shrinking market caused by low birth-rate & aging society, strongly interrelated global economy, development of ICT, advance of globalization, environmental issues like greenhouse effect, and frequent occurrence of the natural disasters. This adaptation will enhance our company to grow and raise the satisfaction of our customers as well as contribute to society. Through these activities, we strive to also contribute to Japan’s competitive edge in the world. Mr. Ogata joined Japanese National Railways (JNR) in 1974 and then JR East when JNR was divided and privatized in 1987. He established the basic policy of customer service based on customer satisfaction, which has been one of the most significant issues since the start of JR East. He became the Director of the Transport Safety Dept. in 1997 and was engaged in drafting the “safety middle term plan,” and now he is considered as a leader in the field of safety within the company. He was appointed as Executive Vice President and Head of Railway Operations Headquarters in 2008. He was in charge of the daily operation of the railway, which 1.7 million passengers use daily, and led the preparations for the opening of the Tohoku Shinkansen between Hachinohe and Shin-Aomori on 4 December 2010 and the increase in its operating speed to 300 km/h since 5 March 2011. 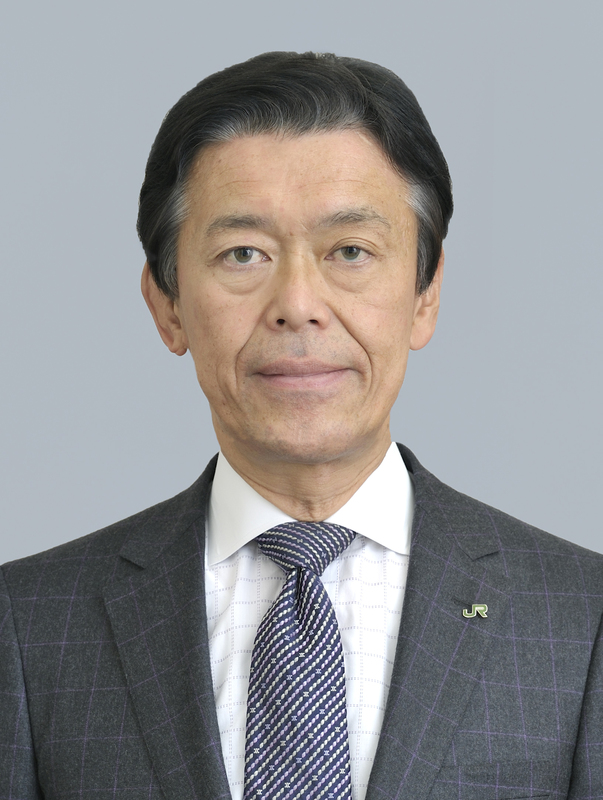 Mr. Ogata has been responsible for overseas related affairs since June 2010, first as Executive Vice President, and as Vice-Chairman since June 2011. Also, he was in charge of IT and service quality from June 2010 to June 2012, and he has been in charge of technology in general since 2012. "Promoting GEMBA (workplace) Innovation "
Mr. Ohashi will start the presentation by introducing the KOMATSU Way, which has passed on as the “DNA” of Komatsu’s ways of manufacturing. He will then move on to DANTOTSU (unique and unrivaled) products, DANTOTSU service, and finally, DANTOTSU solutions, all of which are based on the KOMATSU Way. He will spotlight Komatsu Machine Tracking System (KOMTRAX) and Autonomous Haulage System (AHS) as the successful cases of DANTOTSU solutions. KOMTRAX enables the customers to remotely monitor, manage and analyze their machines’ operating conditions, thereby helping them reduce machine lifecycle costs, such as maintenance, fuel and operator expenses. AHS, which Komatsu led the world in commercializing, frees truck drivers from a strenuous work environment at mines, therefore achieving an ultimate form of safety as well as reducing the running costs of trucks due to stable driving conditions of driverless trucks. He will introduce actual cases of service and solutions designed to create new customer values. He will finish the presentation by describing Komatsu’s roadmap of product development for solutions and its efforts to make innovation, as Komatsu looks into the advancement of technologies and changes of market needs. Mr. Ohashi is President and CEO of Komatsu Ltd., a manufacturer of heavy equipment and industrial machinery headquartered in Tokyo, Japan. Mr. Ohashi joined Komatsu in 1977. After stints at Awazu Plant and Komatsu UK Ltd., he became Plant Manager of Mooka Plant in 2001. In 2004, he became President and COO of Komatsu America. 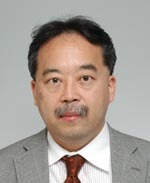 He was appointed Senior Executive Officer of Komatsu Ltd. in 2008, Director of the company in June 2009, and has served as its President and CEO since April 2013. Mr. Ohashi is a member of Keidanren and Keizai Doyukai. He also serves on several industrial associations including Japan Construction Equipment Manufacturers Association. He is a member of the Japan Institute of Invention and Innovation and Union of Japanese Scientists and Engineers. Mr. Ohashi received a B.A. in Engineering (1977) from the University of Tokyo, Japan, and an M.S. in	Operations Research (1984) and Industrial Engineering (1984) from Stanford University, USA. The role of management is changing in our complex world. New technologies have radically transformed the workplace and our global economy, focusing on effectiveness, value and speed. Project management has become increasingly important to many business activities and performance. It provides more sophisticated capabilities for cross-functional integration, resource mobility, effectiveness and market responsiveness, but also requires more sophisticated skill sets, both technically and socially, dealing effectively with a broad spectrum of contemporary challenges, such as conflict, change, risks and uncertainty. As a result of this paradigm shift we have seen a change in managerial focus from efficiency to effectiveness, and from a focus on traditional performance measures to include a broader spectrum of critical success factors that support innovation, work integration, organizational collaboration, human factors, business process agility, and strategic objectives. Effective project leadership involves more than managing the work, but also building people relations across diverse organizational and cultural boundaries, support functions, suppliers, customers and partners. The presentation will explore the leadership lessons learned from this shifting paradigm, including the barriers, drivers, critical success factors, and the organizational conditions most conducive to managing project teams effectively in our complex business environment. Dr. Hans Thamhain, specializes in R&D and technology-based project management. He is a Professor of Management and Director of MOT and Project Management Programs at Bentley University, Boston/Waltham. His industrial experience includes twenty years of management positions with high-technology companies: GTE/Verizon, General Electric and ITT. Dr. Thamhain has written over seventy research papers and seven professional reference books in project and technology management: Managing Technology-Based Projects 2014, Linking Project Management to Business Strategy (co-authored with Shenhar, Milosevic and Dvir) 2007, Management of Technology 2005, Managing Effectively in Technology-Based Organizations 1997, Project Management Operating Guidelines (co-authored with Harold Kerzner) 1986, Project Management for Small and Medium-Size Businesses (co-authored with Harold Kerzner) 1985, and Engineering Program Management 1985. He is the recipient of the Distinguished Contribution Award from the Project Management Institute in 1998, the IEEE Engineering Manager of the Year 2000/2001 Award, and the Research Achievement Award from the Project Management Institute in 2006. He is profiled in Marquis Who's Who in America and certified as NPDP and PMP. "Restructuring Japan's Governmental R&D Policy toward More Innovation-oriented Economy"
ii)	to remodel its funding and formulating procedures of NEDO (New Energy and Industrial Technologies Development Organizations) for further innovation-oriented manners, by involving more small/medium/start-up businesses and applying more DARPA-like project management style. METI also calls for schematic changes with MEXT (Ministry of Education and Science and Technology) to enable "cross-appointing" for researchers between national universities and national laboratories in more comprehensive manner. Dr. Yasunaga joined MITI (The Ministry of International Trade and Industry ) 1986, after completing master’s. degree program in mineral resource development engineering at Graduate School of the University of Tokyo. From 1987-89, he was working for promotion of industrial application of space through satellite development projects for remote sensing and material experiments under micro-gravity. From 1989-91, he was working for promotion of mineral resources development, and enrolled in the MS program in Mineral Economics at the Colorado School of Mines in 1991-93. After completing MS program, he was promoted to the Deputy Director, International Affairs Division, Agency of Natural Resources and Energy in 1993. From 1995-1997 he worked for Industrial Electronics Division mainly for Us-Japan Semiconductor Trade disputes and establishing R&D projects. From 1997-1999, he worked for South-east Asia and Pacific Area Division to tackle with the Asian Economic Crisis took place in 1997 and contributed to enhancing regional cooperation between ASEAN member countries and Japan. From 1999-2002, he worked for Commerce Policy Division and contributed to promoting electronic-commerce from legal and institutional point of views. In 2002, he joined New Energy and Industrial Technology Development Organization (NEDO) as a Director, Planning and Coordination Division, Planning and Coordination Department and designed a new R&D funding mechanism and project management style of the organization. In 2005, he returned to METI as the Director, Research and Development Division, Industrial Science and Technology Policy and Environment Bureau, and was responsible for making new R&D projects. In 2007, he was assigned the Director, Gas Safety Division, Nuclear and Industrial Safety Agency and worked for dramatically reduce the number of gas-oriented accidents. In 2009, he was assigned the Director, Mineral and Natural Resources Division, ANRE, and travelled around the world to help Japanese private companies to secure mineral resources both in exploration stage and development stage. In 2013, he was promoted to be the current position. "Total-System Innovation Management: An Overview with Applications to Creative Idea Generation"
This presentation will introduce the concept of Total-System Innovation Management, which emphasizes both a total-system perspective of the innovation management process and a disciplined systematic approach to the development of the individual key elements of the process. The key elements of the innovation process include Creative Idea Generation, Seeking and Providing Initial Support, Team Formation and Organization Development, Product or Service Development and Marketing, External Competition and Cooperation, and Ethical Considerations. The presentation will also discuss the applications of the total-system approach to the key element of Creative Idea Generation for the systematic development of a set of effective techniques for the ideation process. 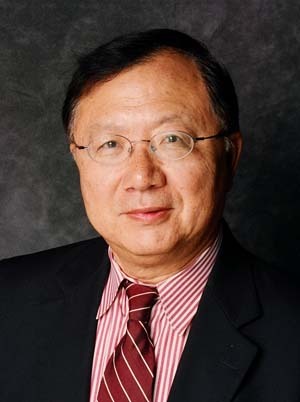 Dr. Oliver Yu, President and CEO of the STARS Group, a premier technology management strategy consulting firm spun off from SRI International (formerly Stanford Research Institute) in year 2000, is an internationally recognized expert on technology and resource management strategy planning and analysis. He is also a Consulting Associate Professor of Management Science & Engineering at Stanford University and an Adjunct Full Professor on Technology Portfolio Planning for the MBA-MS Engineering Dual Degree Program and since 2009 an Executive in Residence at the College of Business of San Jose State University (SJSU) in California. Dr. Yu is an honorary professor at National Dong-Hwa University in Taiwan, and taught special courses on Innovation Management for MBA programs at Zhejiang University and Dalian University of Technology in China and EMBA programs at National Chung-Hsin University and National Chi-Nan University in Taiwan. Between November 28, 2013 and February 28, 2014, he has been invited to be a Visiting Professor on Asian Business Innovation Strategy at Kyushu University in Japan. He was invited twice to be a keynote speaker at the Asia-Pacific Technology Foresight Conference, once with Joe Martino and Alan Porter. Prior to founding the STARS Group, Dr. Yu was Director of Energy and Technology Strategies at SRI from 1989 to 2000, responsible for over 100 major projects on technology and resource management strategies throughout the world. Before that, Dr. Yu was for 15 years the Manager of Planning Analysis at the Electric Power Research Institute (EPRI), responsible for energy industry analysis and EPRI-wide research planning. Dr. Yu holds a BSEE from Taiwan University, an MSEE from Georgia Institute of Technology, and an MS in Statistics and a PhD in Operations Research from Stanford. He was a Fulbright Fellow, and an officer as well as the 1984 General Chair of the national meeting and the 1995 General Chair of the first international meeting of the Institute for Operations Research and Management Science (INFORMS). He has published over 80 technical papers and authored and co-authored 5 books on technology and resource strategy planning, including Technology Portfolio Planning and Management published by Springer in 2006, and Technology Management and Forecasting by Tsinghua University Press in China. He was the co-organizer of the Global Innovation Forum: Silicon Valley, jointly sponsored by SRI, IBM, and SJSU and held at SRI in 2010, and is the Executive Director of the Global Access Innovation Network (GAIN), for promoting global cooperation in innovation management. He also serves as Board Member and Director of Smart Grid Task Force of the US-China Green Energy Council, Managing Editor of the IEEE annual series on Advances in Innovation and Technology Management, Chapter Vice Chair of the IEEE Technology Management Council, and Ambassador of the International Society of Service Innovation Professionals (ISSIP).